Of all the joints discussed in Woodsmith, the one that's probably used the most and talked about the least is the simple screw joint. That is, joining two pieces of wood with a common woodscrew. Although this joint is simple, lately I've been thinking about what kind of screw is best to use. And. what's the best way to drive it in? A few years ago drywall screws grabbed the attention of woodworkers. They go in faster, hold tighter, and don't require the typical pilot hole, shank hole, and countersink needed by regular wood screws. But drywall screws may not be the best answer either. Recently, I've switched to particle fxxird screws. heat-treated. Both particle board screws and drywall screws are heat treated. This gives them the strength needed to power-drive them into steel studs with no pilot hole. threads. The most important difference between these screws is the thread angle and shape. 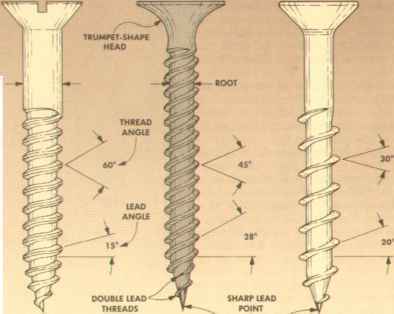 Typical particle board and drywall screws have threads that climb up the shaft at a steeper lead angle (20°) than on standard woodscrews (15°), see the drawing above. This means you can drive them in quicker. For example, a 1 '/Along standard woodscrew takes about 15 full revolutions of a screwdriver to drive it in flush. But a lW-long particle board screw only takes about 10 revolutions. Some particle board and drywall screws have even steeper threads (25-30°) for faster driving (trade-named "Kwixin"). They may also have two separate threads (called a double lead) that climb up the shaft like the red and white stripes on a barber pole. (This is shown on the drywall screw in the drawing above.) 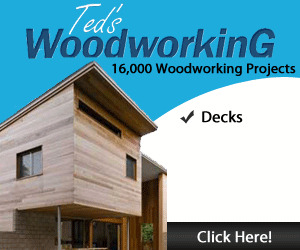 Since a double-lead thread has twice as many threads, it tends to hold better, particularly in softwoods. particle board screws. More important than the number of threads is the depth of the threads. The thread of a particle board screw is deeper and sharper than a drywall screw. Commercially, a deep-thread screw is called a "Lo-Root" screw since the center shaft between the threads (the "root" of the screw) is much thinner. This produces deeper, sharper threads that slice their way into the wrood. (They have a smaller "thread" angle, see drawing above.) Once the screw is in place, the deep threads hold tight. No matter what screw is used, you should drill at least two holes — a shank hole and a pilot hole — to drive it into the wood. However, before drilling any holes, something needs to be said about the mechanics of a screw joint. clamping action. The goal of a screw joint is to pull the front piece of wood tightly down to the back (anchor) piece. The key to this is that you're not really screwing into both pieces of wood. The threads of the screw grip uidy the anchor piece. The front piece is simply held tight by the screw head — in effect, a clamping action takes place. glue joint. This mechanical action is even more critical when glue is applied to the joint (as is the case most of the time in woodworking). The screw actually serves as a spot clamp to pull the two pieces of wood tightly together until the glue dries. mechanical action. This is where it's easy to get into trouble. In order for the mechanical action of this joint to work properly, the screw threads should not grab the front piece; they should only grab the anchor (second) piece. If the shank hole isn't deep enough (or there's no shank hole at all), the threads will "catch" in the front board. Then as the screw enters the second (anchor) board, the threads will maintain any gap that exists between the boards — and you lose the clamping action of the screw. Even if the two boards are held or clamped together, the screw can only hold them in that position. It can't pull the front piece down any tighter without stripping the threads. I'm sure this has happened to all of us. You try to screw two boards together, but they won't pull tight. So you push down hard and give it an extra twist. All this does is make your arm tired, and frequently strips out the threads or breaks the screw. The problem is that the threads have gripped the front board and are maintaining the gap between the boards. When drilling the shank hole, it has to be deep enough for the shaft of the screw and any threads that will be in the front piece. The mast common mistake in drilling the shank hole is to drill it only for the shank (unthreaded) portion of the screw. It has to be deep enough for any threaded portion, too. That is, the shank hole has to go all the way through the front board, see drawing to the right. This tight fit prevents the screw from "racking" or bending in the hole so the top piece can't shift in relation to the bottom piece. However, in some situations, you want the pieces to be able to move independently. For example, when joining a solid-wood top to a cabinet, you want the top to be able to expand and contract with changes in humidity. In thus case, the shank holes are drilled oversize to allow for this movement. After the shank hole is drilled, a smaller pilot hole can be drilled in the back piece to anchor the threads of the screw and prevent the wood from splitting. To mark the location of the pilot hole, the usual practice is to hold or clamp the front piece in the correct position over the back piece. Then an awl is slipped through the shank hole to mark the centerpoint of the pilot hole. This can be troublesome because the awl may not be exactly centered in the shank hole, or it may slide off center because it hits a hard part of the grain. To get a more precise location for the pilot hole, I use the following method. First, use a brad point bit to drill the shank hole. Then hold the second board in place. Now. with the brad point bit in the shank hole, just give it a little tap or twist, so the point of the bit marks the precise center-point for the pilot hole. diamktkr of pilot hole. The pilot hole should be about the same size or a hair smaller than the root diameter of the screw. One trial and error method to determine the right drill bit is to hold bits up in front of the screw until you find one that allows the root to just barely show on both sides of the bit. depth of pilot hoi£. How deep should you drill the pilot hole? 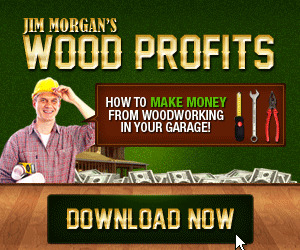 That depends on the type of wood you're screwing into. In softwood, I usually drill the pilot hole only half the length that the screw will be into the anchor piece. That's all that's necessary to keep it from splitting. The year was 1900 when Peter Robertson (a Canadian tool salesman) cut his hand with a screwdriver while he was driving in a standard slot-head wood screw. This mishap was the beginning of a newT type of screw7. After experimenting with several new designs, in 1907 Robertson patented a screw with a slightly tapered, square hole in the head. To drive it in, he used an odd-looking screwdriver with a small square head that fit snugly in the hole. Robertson launched his company by advertising that his screws "positively cannot slip and cut the fingers or disfigure costly furniture or wood." Although they've been popular for years in his native Canada. Robertson's screws have never caught on in the U.S. That's unfortunate because there are a number of advantages to square drive screws. cam out. One of the most aggravating things about working with standard w ood-screws is "cam out." Both slotted and Phillips head screws often strip out (cam out) just as you're tightening them down snug. Howrever, with Robertson screws, it's almost impossible for the screwdriver to cam out of the square recess. Another characteristic 1 like is that the screw stays on the end of the screwdriver final appearance is determined by a countersink or counterbore. countersinking. If you want the screw head flush with the surface, it has to be countersunk. To determine the correct diameter (depth) to drill the countersink, turn the screw upside down and fit the head into the countersink. The screw will be flush with the surface when the head just fits into the countersink. In softwood, the diameter of the countersink (on the surface) can be a little smaller than the diameter of the screw head since softwood will compress as the screw is tightened down. On hardwood, the countersink should be almost the size of the screw head. counterbork. If you want the screw-head below the surface so it can be covered with a plug or putty, you have to drill a counterbore. I use a brad point bit to drill the counterbore before drilling the shank hole. Then the shank hole can be centered in the point left at the bottom of the counterbore. pilot bit sets. All of this drilling requires three bits: one for the counterbore or countersink, one for the shank hole, and one for the pilot hole. Or you can save time and do it all with a pilot bit set. On the next page, we've taken a look at some of the most common pilot bit sets on the market. as though it's magnetized. You can turn it upside down and it won't fall off. That's great for tight spots. drivers. Although you need a special square-head screwdriver, one size fits No. 6, 8. and 10 square-drive screws. (All use a No. 2 driver). lo-root. In addition to the square drive design, Robertson screws are also available Lo-Root (like particle board screws). This combination of square drive and Lo-Root make them ideal for woodworking, see Sources, page 24.
recex. If there's a problem. I guess it would have to be: Will square drive screwdrivers still be available 25 years from now when the project needs to be repaired? That problem has been solved already. A variation of the Robertson square drive, called a "Recex," has been developed. It has a square recess for driving with a square driver. But it also has the "star" pattern of a Phillips head so it can be removed with a Phillips drive. 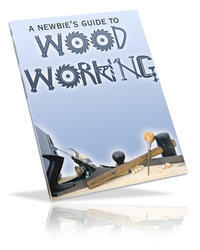 Downloadable Woodworking Plans, Can you be a full time professional Woodworker?